The CAATSA that imposed sanctions on Iran, North Korea and Russia, has the potential to affect India, as it is planning to buy five S-400 Triumf missile air defence systems from Russia. WASHINGTON: The purchase of major military equipments like the multi-billion-dollar S-400 Triumf from Russia would be considered as a "significant transaction" and has a potential for imposing tough US sanctions, the Trump administration said Friday, as India mulls buying the air defence systems. Trump on Thursday signed an executive order, paving the way for slapping crippling sanctions on countries and foreign entities and individuals violating the Countering America's Adversaries Through Sanctions Act (CAATSA). 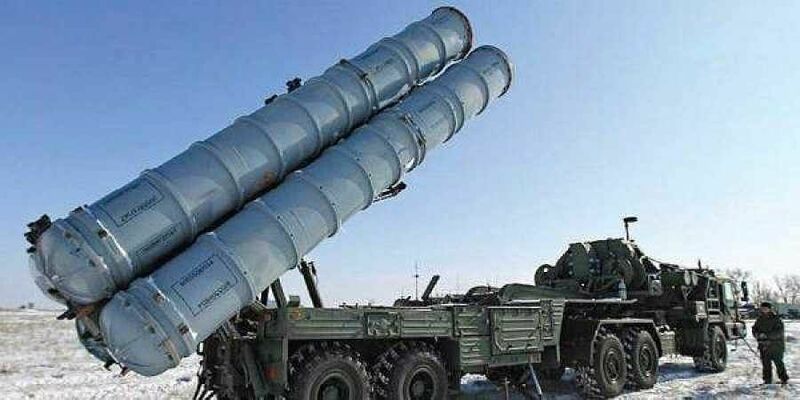 The CAATSA that imposed sanctions on Iran, North Korea and Russia, has the potential to affect India's defence purchases as it is planning to buy five S-400 Triumf missile air defence systems from Russia for around USD 4.5 billion. "We want to stress that the legislative standard here is a significant transaction with an entity that appears on the List of Specified Persons. We took these actions because China took delivery of 10 Sukhoi fighter aircraft, specifically Su-25s, in December of 2017, after the CAATSA statute came into force. It also took delivery of a batch of S-400 sometimes known as SA-21 surface-to-air missile systems or related equipment in January of this year," the official said. "CAATSA sanctions in this context are not intended to undermine the defense capabilities of any particular country. They are instead aimed at imposing costs upon Russia in response to its malign activities," he said. "Those malign activities are undertaken to compete with the US and its allies and partners. This is for the first time that the US has sanctioned anyone under Section 231 of CAATSA, which focuses upon, those who engage in significant transactions with entities that appear on the LSP (List of Specified Persons)," the official said. "As to other potential recipients of the S-400, we haven't made any determinations yet with respect to what to do about those, but you can be confident that we have spent an enormous amount of time talking about prospective purchases of things such as S-400s and Sukhois with people all around the world who may have been interested in such things and some who may still be," the official said. He said the Trump administration has made it "very clear" to these countries that these systems like the S-400 are a system of key concern with potential CAATSA implications. "So while decisions on other cases have yet to be made, and indeed other transactions have yet to occur, we hope that at least this step will send a signal of our seriousness and perhaps encourage others to think twice about their own engagement with the Russian defence and intelligence sectors, which would of course be precisely what we hope Congress intended, and what we are required to do pursuant to the fact," the official said. In the recent 2+2 Dialogue held in New Delhi, US Defence Secretary James Mattis had said, "The sanctions aren't intended to adversely impact countries like India. They are intended to have an impact the sanctioned country, which is Russia. And so we'll work our way through the waiver decision as the days and weeks proceed, and we'll do that alongside our partner, India, as well. "He had also said that the US was working to impose CAATSA Section 231 in a way that is appropriate and lawful and to exercise that waiver authority only where it makes sense.